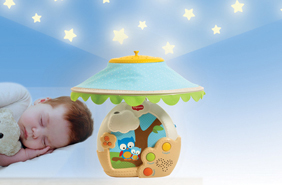 Now that baby’s sight is fully developed, she can enjoy watching the ceiling projection, following the animals’ movements and seeing them appear and disappear. 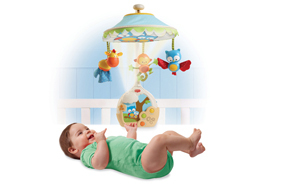 Baby’s vision is still quite limited, so he will enjoy viewing the mobile projection on the overhead canopy. 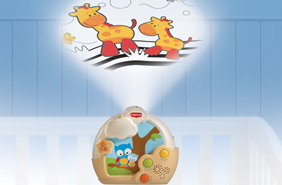 Let your toddler enjoy the product as a soothing magical starry night-lamp that plays soothing tunes.